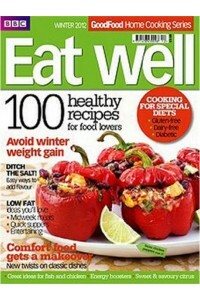 This subscription bundle is perfect for the food and home magazine lover. Subscribers will receive two issues each per year of Food Traveler and Everyday Home. Food Traveler is a lifestyle travel magazine for the epicurean foodie. 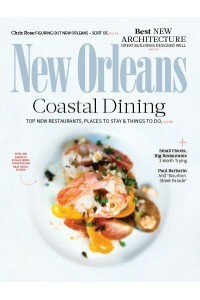 The magazine is packed with information on exquisite food and travel destinations throughout the United States and abroad. Food Traveler will take you on the ultimate culinary adventure. Everyday Home is a lifestyle home magazine featuring fresh and inspiring ideas to turn your house into your dream home. Express your personality and style throughout each room with easy and affordable tips, tricks and inspiration. Subscribers will receive a total of four issues per year. Money Back Guarantee: You may cancel your Food Traveler & Everyday Home Bundle Magazine Subscription at any time for any reason and we will refund the balance value for the unfullfilled copies. At this special rate, you will save more than 25% off the cover price. Subscribe to Food Traveler & Everyday Home Bundle Magazine today and read up. 1.) When will I receive my first Issue of Food Traveler & Everyday Home Magazine Bundle Magazine? 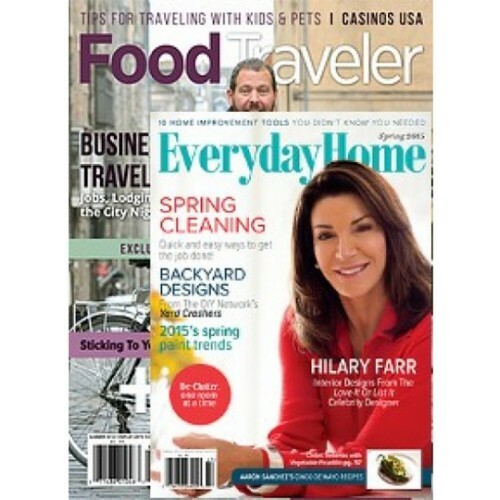 Food Traveler & Everyday Home Magazine Bundle Magazine is published 4 times a year, so first copy of Food Traveler & Everyday Home Magazine Bundle magazine is expected to arrive in approximately 8-12 weeks. Your order is processed by magsstore.com within 24 hrs of receipt of the order and the money and all order details are shared with the respective publisher. The publishing company will then process your order, and fulfill the dispatch of each issue. 2.) 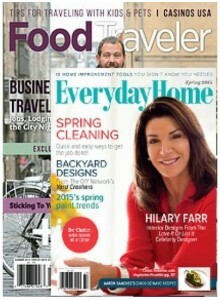 How do I change my address for Food Traveler & Everyday Home Magazine Bundle Magazine? To change your address, please write to us on customerservice@magsstore.com – please mention your Food Traveler & Everyday Home Magazine Bundle magazine subscription order number, full name and new delivery address to get it updated quickly. 3.) 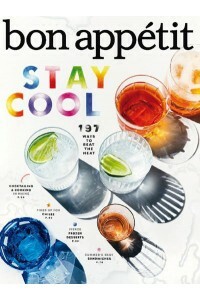 How can I renew my subscription to Food Traveler & Everyday Home Magazine Bundle Magazine through magsstore.com? 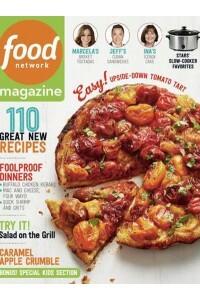 Yes, you can renew your subscription to Food Traveler & Everyday Home Magazine Bundle magazine online at magsstore.com. Click on Renew Subscription option at right hand side top of the website, select your magazine and terms you want to subscribe to, place the order and it will be automatically added to your existing subscription. 4.) How do I know if my subscription order for Food Traveler & Everyday Home Magazine Bundle Magazine has been placed? 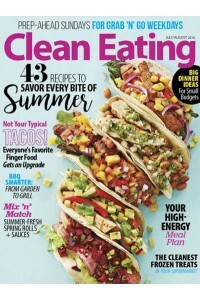 You receive an email from magsstore.com confirming your Food Traveler & Everyday Home Magazine Bundle magazine order details on the same day as you have placed the order. We recommend subscribers to create an account with us so you can check status of subscription online with expiry and renew details. 5.) How can I gift a Food Traveler & Everyday Home Magazine Bundle Magazine subscription to someone? Absolutely! All you have to do is specify the address of the person in the shipping details during the checkout process. We will send an electronic gift card on your behalf to this person letting him/her know about Food Traveler & Everyday Home Magazine Bundle magazine subscription. Alternatively, you could also buy a voucher on the site and we will email it to the person on your behalf. They could then choose the magazine title they wish to subscribe. 6.) How can I cancel my Food Traveler & Everyday Home Magazine Bundle Magazine subscription? Yes you can. You can cancel your Food Traveler & Everyday Home Magazine Bundle magazine subscription anytime and we will refund you the balance amount for unfulfilled copies. Please write to us on customerservice@magsstore.com – please mention your order number, full name and delivery address to help us to get your order cancelled. It takes normally 3-4 days. 7.) Why did I receive a renewal notice in the mail, though I renewed my Food Traveler & Everyday Home Magazine Bundle Magazine subscription already? You can receive the renewal notices from publisher 8 weeks or 16 weeks before your magazine subscription expires as they are sent automatically. But, you can ignore them if already renewed your subscription to Food Traveler & Everyday Home Magazine Bundle magazine. 9.) I entered my payment details and place an order for Food Traveler & Everyday Home Magazine Bundle Magazine – and all I got was a blank screen! I got charged but don’t have the order details. What now? We’re really sorry for the inconvenience. You will receive an email from us on the same day as you placed the order and your subscription to Food Traveler & Everyday Home Magazine Bundle magazine will be processed. We suggest you do not try booking again as you may end up getting charged twice. You can also write to us on customerservice@magsstore.com. 10.) 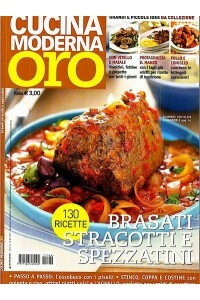 How Can I write a review on Food Traveler & Everyday Home Magazine Bundle Magazine?